Oh we are starting the Dominaria stuff slowly, with two great stories and some new frames. I like the slow release of information, it’s easier to process. 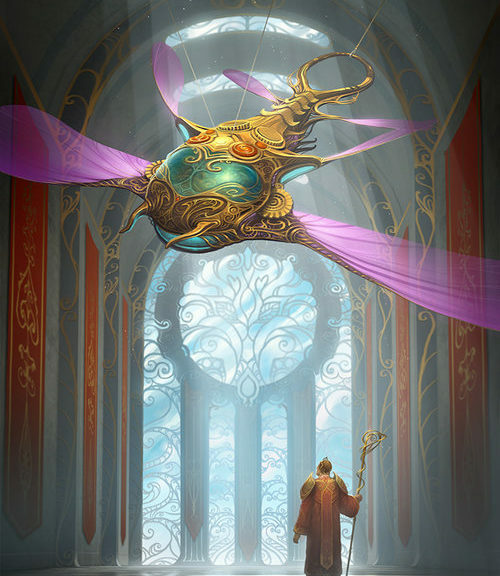 I don’t want to get distracted, though: Standard is four months from rotating, and that means it’s time to look at the supply of Kaladesh block vs. the demand of Modern/Legacy/other formats. Specifically, today, I want to look at the Masterpieces from this set, the Inventions. The Amonkhet Invocations are more polarizing, some people LOVE them and other ABHOR them, but the Inventions were received well and have moved well. Supply on these is at their lowest (I’ve been giving them time to really trickle down) and now, before they move up, I want to look at a few of the lower-cost ones and see what’s worth it in the long term. If you have a commander that needs to stay in play, this is a fantastic card. It is fighting with Lightning Greaves and Swiftfoot Boots, I’ll give you that, but the lack of a pack foil means that this is the only choice. I don’t think this is going to ever spike, but if you like cards on a slow growth curve, this is for you. This is in really low supply, too. It was in the original Commander set, seven years ago, and now this printing is the only foil that exists. I won’t be shocked when it gets reprinted, but this is the only foil you’ll find until Eternal Masters 2: Eternal Harder. The huge jump from pack foil to the Masterpiece is exactly the indicator I’m looking for. The casual appeal of a big mana card like this cannot be denied, and while it is restricted to permanents only, it’s still a very powerful card. This has kept the pack foil at a very reasonable price, and if you wanted to pick up something that undervalued I would understand. Just remember that the Masterpiece keeps the pack foil from getting too high in price. Why am I going to spend $15 on the pack foil if I can spend $30 on the Masterpiece? This isn’t a casual pick, it’s based on the recent jump in Modern decks playing this. It’s gaining popularity in decks playing Simian Spirit Guide, as a way to wreck a lot of decks. Damping Sphere is on the horizon, but Trinisphere is a card that can really bring the game to a grind, especially in the Ponza decks which will then start destroying lands. The FTV is much less popular likely due to warping issues and being ugly. This is a hard card to draw lots of cards with, and that’s why it’s not super-popular. 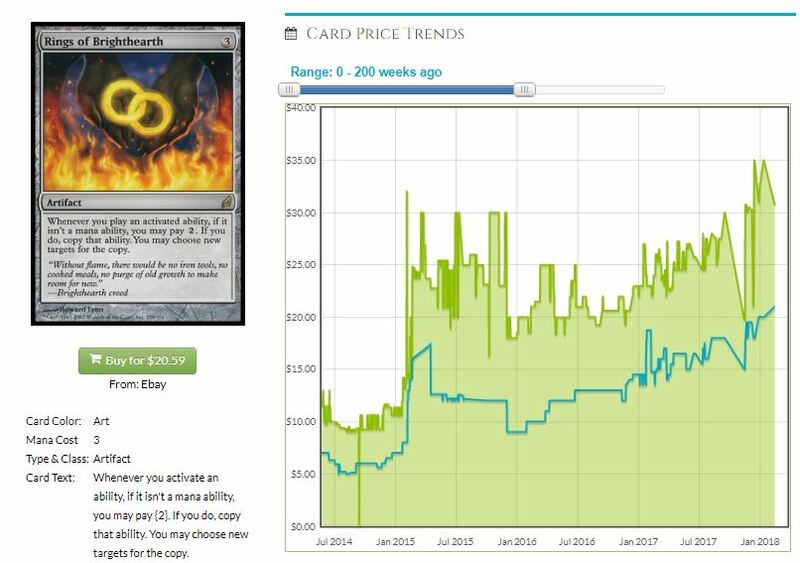 It’s not even 2x the price of the pack foil or the CA version, and those two foils are underpriced compared to the original. It’s a pretty unexciting card to add to a Commander precon, and that should keep the card from getting reprinted. Any of the shiny versions are good targets for slow growth. It’s a niche card that enables all sorts of dumb combos in casual formats, but the appeal of these things cannot be overstated. The pack foil is underpriced, and that’s due to the Masterpiece. The Masterpiece has the price that I’d expect the pack foil to have, indicating the demand is there, pushing the pack foil down. I would like to think that the Masterpiece is rarer than an original Ravnica foil, but it’s got to be close. I’d mention the other big-deal Gauntlet-related bit of media, but there’s copyright issues. For a card that seems so narrow, it’s in nearly 9000 decks on EDHREC. That’s a lot of mono-color goodness, and this is begging for a reprint. I don’t like being in on the nonfoils, but the pack foils and the Masterpiece both sing to me of slow, steady growth. I’m not sure why the foil multiplier is so low on this card, to be honest. I’d expect that the Masterpiece is holding down the price of the pack foil, sure, but given a regular price of $20, this ought to be in the $50 range. 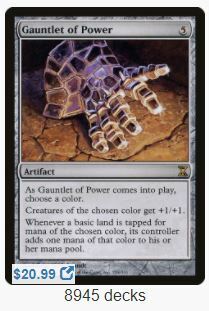 Now that’s a hefty foil multiplier, as befits a card in 9600 Commander decks. There’s a lot of ways to abuse this card. I don’t need to list them, just add your favorite combination of mana rocks and card draw. My personal favorite is chaining Sphinxes with Unesh, but you do what works for you. Go five-color and go wild with Prismatic Geoscope, for instance. Keep in mind that this is one of the Aether Revolt Inventions, and the supply on that subset of Masterpieces is significantly smaller. This card spiked, hard, when Atraxa, Praetors’ Voice was printed. Just crazy, the amount of triggers to be abused, planeswalker abilities to be copied, and so on. This is 100% a ‘win more’ card, and that’s what Commander players love the most. We don’t want to do something awesome. We want to do that twice. Another member of the 9000-deck club, I realize I’m recommending a $70 card as a prime candidate to climb in price, but I think this will be $100 by the end of the year. If you want one, go ahead and get it. Don’t wait around. Cliff is an avid Cuber and Commander player, and has a deep love for weird ways to play this amazing game, as well as being guest host on MTGFF when needed. His current project is a light-up sign for attracting Cubers at GPs, so get his attention @wordofcommander on Twitter if you’ve got ideas or designs.